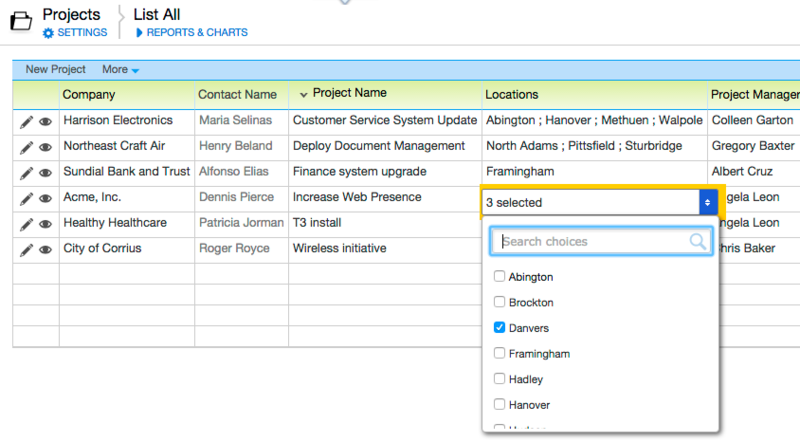 Multi-select Text fields allow you to choose multiple text values for a single field, for example, locations for a project, areas of a product to demo, or events someone might attend at a conference. Values in a Multi-select Text field when viewing a record. You can select up to 20 values for a single field. The dropdown is also available from grid edit mode. If a Multi-select Text field has been configured to allow new choices, there will be an <Add New Choice...> entry at the bottom of the list of choices in the dropdown. To add a new choice to the field, click <Add New Choice...>. Enter the new value in the dialog that appears, and click OK. 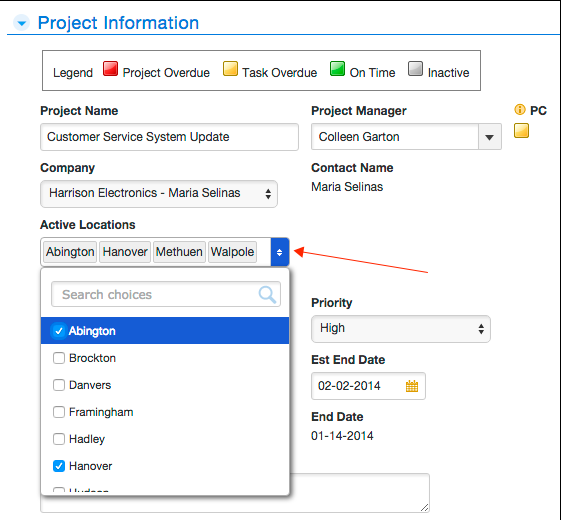 The new value is added to the dropdown and selected for this field. 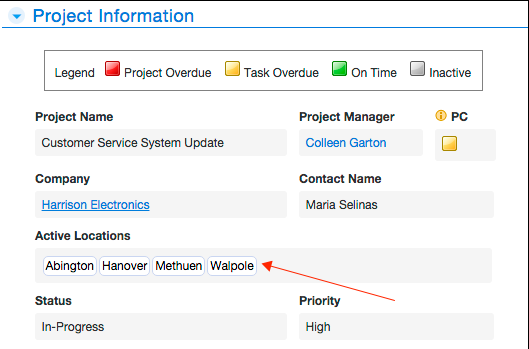 If a value appears in red on a table report or in the Multi-select Text dropdown, it has been orphaned. An orphaned choice was once a valid value in the dropdown, and someone chose that value in a record. Afterward an app admin removed it from the list of choices, so it was no longer a valid value. 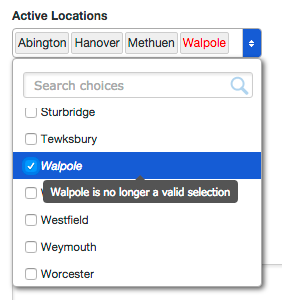 In the example below, Walpole is an orphaned choice. It only appears in the dropdown when editing records where it was previously selected as a value, and Quick Base makes its orphaned status visually distinct. Orphaned choice shown in a table report. Orphaned choice shown on a form. Values are text only. No HTML or other markup is allowed. Values for a single field are separated using semi-colons (;). If your data contains semi-colons, they must be escaped. If you're importing a spreadsheet, values for each field should appear in a single cell. Values for each record are on a single line (or in a single row if you're importing a spreadsheet). If you export data from an app that contains Multi-select Text fields, you'll see that Quick Base exports the list of values separated by semi-colons. When you print a report with records containing a Multi-select Text field, you'll see that the values are separated by semi-colons. See the Active Locations column in the image.